Appliance Doctor, an award-winning New York appliance service company, announced that it now offers heating and air conditioning services, including maintenance and repair on existing heating and air units and installation of new units, to homeowners, rental tenants, landlords, and property management companies in the Bronx and Westchester County. Appliance Doctor recently began offering a Total Care Club to customers to encourage regular maintenance on appliances and HVAC units. Routine maintenance is key to keeping a heating and air conditioning unit running at optimum performance – and to keeping a manufacturer’s warranty valid – but after several years of use, even the best units need to be replaced. Replacing an old unit with a new energy-efficient one can save homeowners and tenants money in the long run – but savvy customers want the best value up front as well. The company has plans to add heating and air conditioning services to all homeowners in New York City later this year, according to Attanasio. Appliance Doctor received the 2013 Service Award from the Professional Service Association, an industry leadership organization dedicated to providing educational training, certification, business management training, support and fairness to the independent service industry. To make an appointment for heating and air conditioning maintenance, repair, or installation, call Appliance Doctor at 800-339-0353 or visit www.appliancedoctorx.com. Appliance Doctor has been providing affordable appliance repair service in NYC, Westchester and the Bronx since 1980. With extensive product knowledge that includes over 45 years of combined working experience, Appliance Doctor has earned a reputation for detail, honesty, integrity and reliability. Our award winning and factory-trained technicians are always prepared using our high-tech dispatch system and an extensive inventory of parts in every service vehicle, making a one-visit repair our goal. Appliance Doctor was presented with the 2013 Service Award from the Professional Service Association, an industry leadership organization dedicated to providing educational training, certification and business management training to the independent service industry. 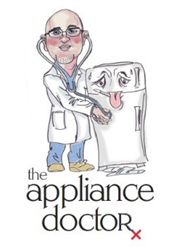 Learn more about Appliance Doctor by calling 800-339-0353 or by visiting www.appliancedoctorx.com. This entry was posted in The Appliance Doctor and tagged air conditioner appliance repair, air conditioner repair, air conditioner repairs nyc, air conditioning services. Bookmark the permalink.